"The Tet Offensive. The Democratic National Convention In Chicago. The MLK and RFK assasinations. 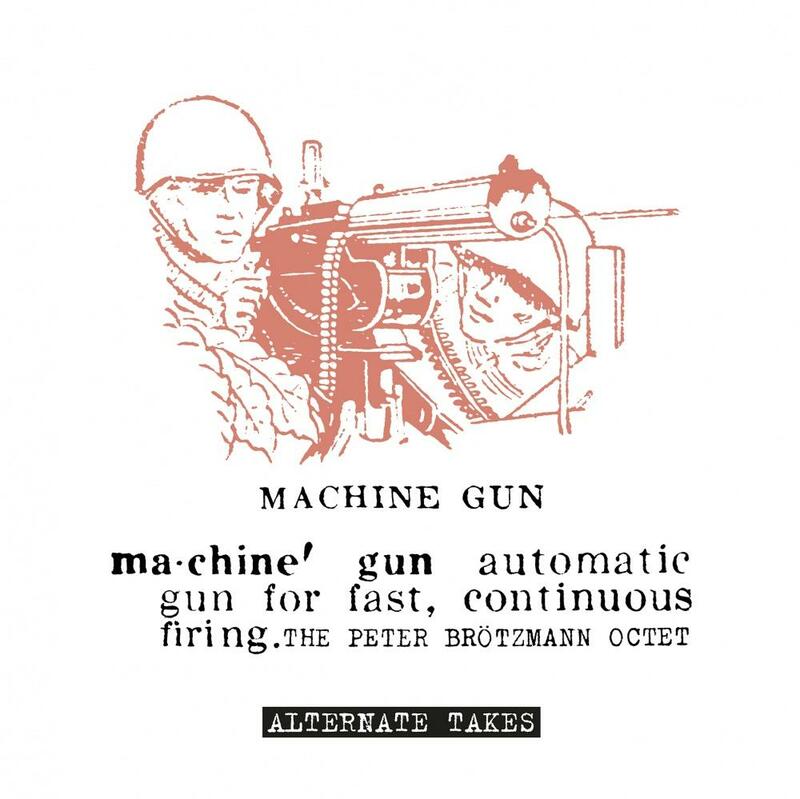 And if 1968 wasn't violent enough, West German avant garde tenorman Peter Brötzmann unleashed Machine Gun unto the world. Unhinged, utterly devoid of subtlety. In your face. 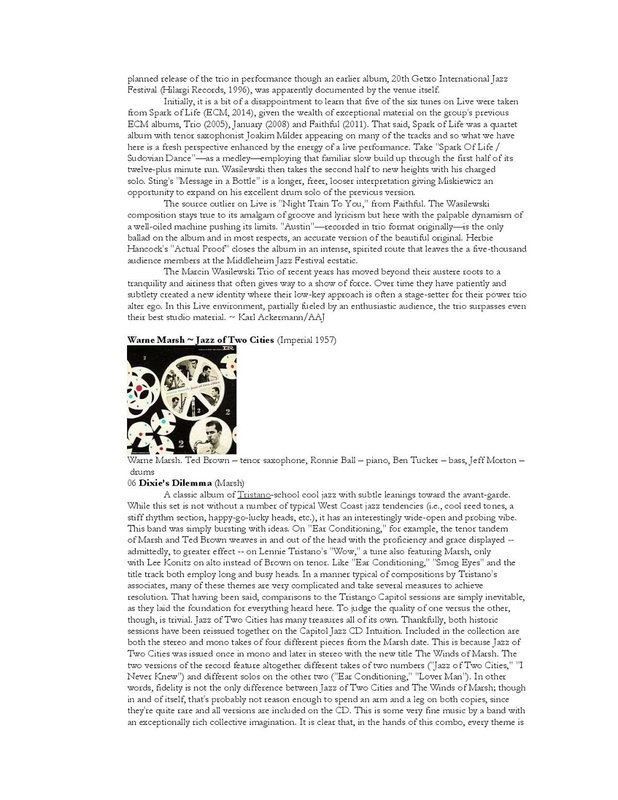 Of all the entries that may follow in my Whack Jazz series, none will be as extreme an expression of free jazz as this one, John Zorn's Naked City with Yamatsuka Eye notwithstanding. Major eruptions are followed by minor ones. Occasional rat-a-tat-tats on the drums by Han Bennink for the various takes of the title song is a simple reminder of the theme. 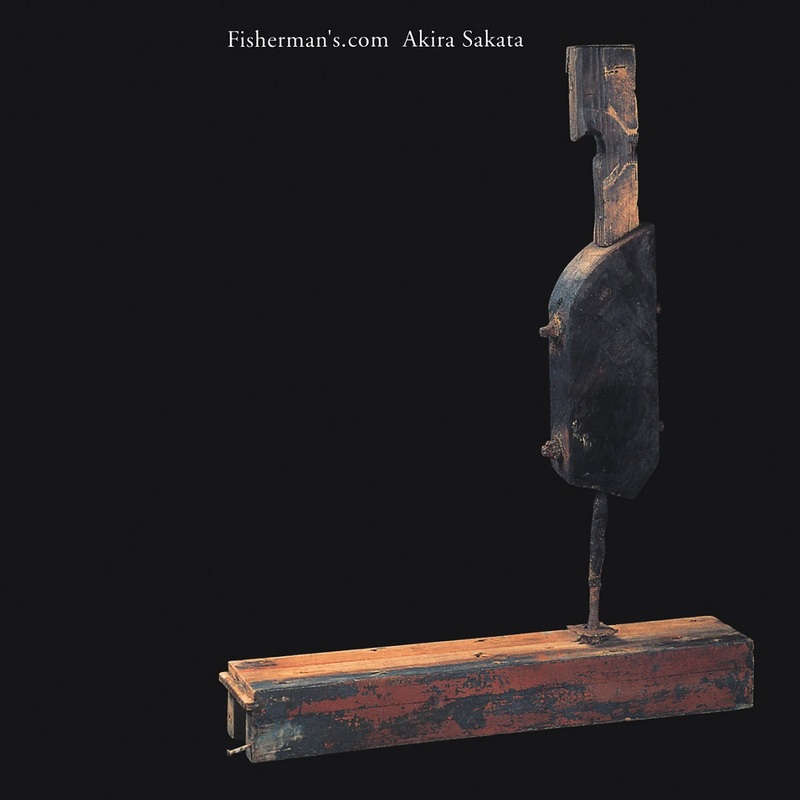 The other saxophonists Willem Breuker and Evan Parker join PB for some impromtu faux choruses but despite everyone blowing at their hardest, Brötzmann's tenor always manages to rise above the chaos; the man has steel lungs. Pianist Fred Van Hove is barely audible most of the time and even having two bassists...Peter Kowald and Buschi Niebergall...doesn't make for a consistently strong presence on the low end, either, although where they are heard, they make the most of the opportunity. 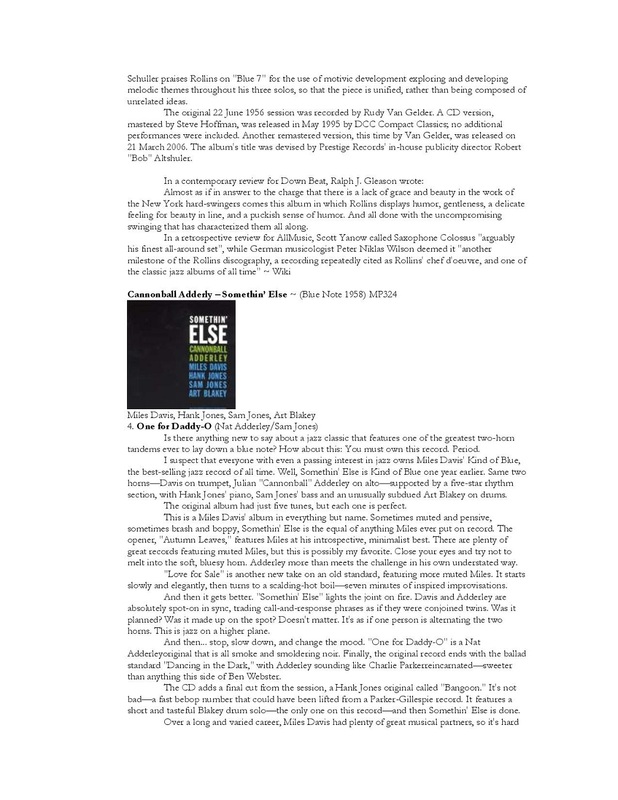 Just as the alert ear can begin to pick up some semblance of a simple melody rising from the chaos, the ensemble blows it up into total disintegration, as if to be playing an evil game of creating enemies for the pleasure of cutting them down; an influence of the then-living Albert Ayler. 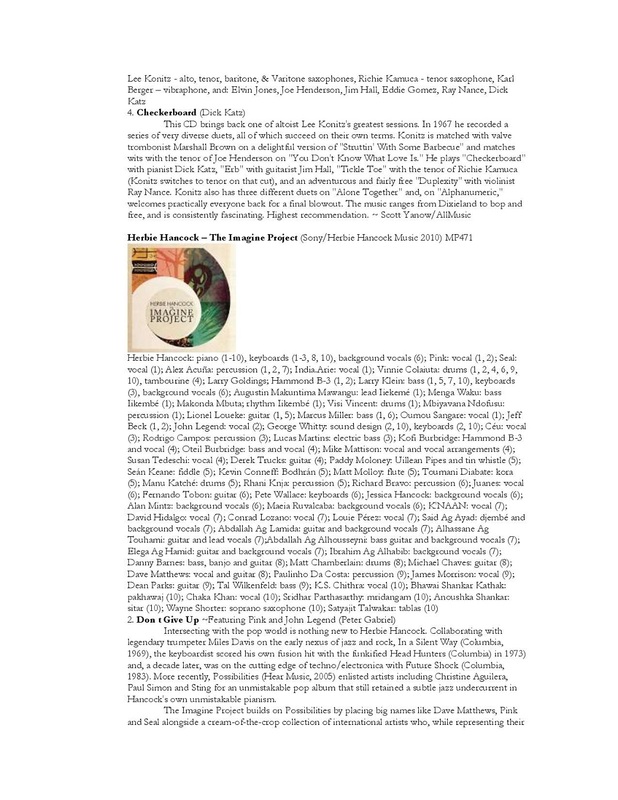 Virtually all the players on this record were at the beginning of their careers and have since become some pretty significant jazz players in Europe and the world. 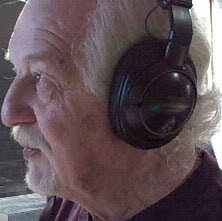 Bennink himself will merit his own entry on this blog one day. 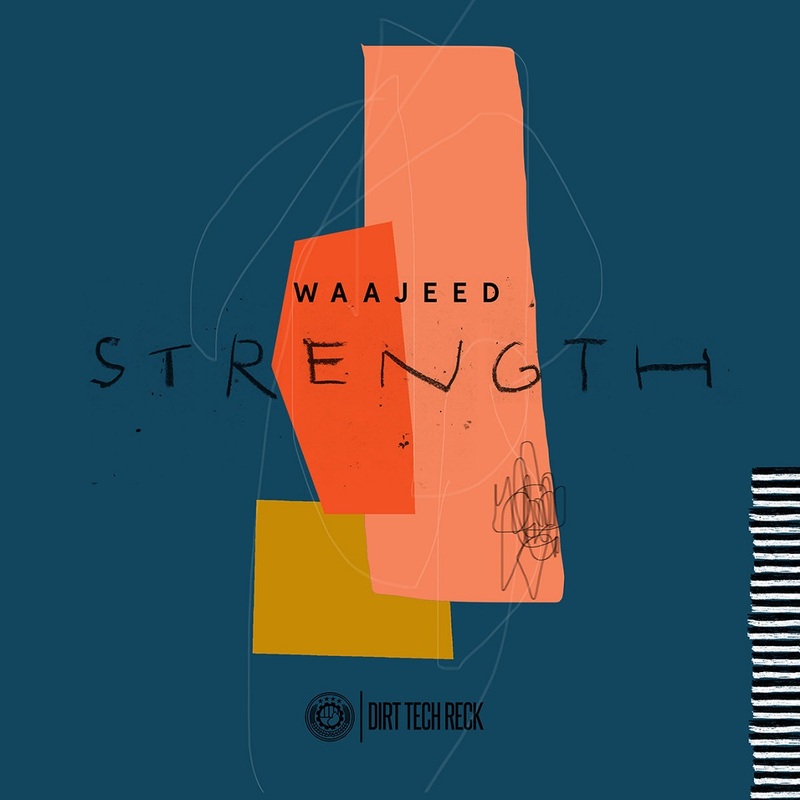 Waajeed is proud to present ‘Strength’, a cathartic EP due September 14th on his own imprint, DIRT TECK RECK For this four-track package he’s enrolled three Detroit natives to collaborate; Ideeyah provides soulful vocals whilst Jon Dixon and Jay Daniel offers two diverse remixes. A Detroit dream team, if you will. Title track is a radiant, melodic groover that looks to the sky for inspiration. Ideeyah’s lyrics battle with self-doubt, searching for solace in the harmonies around them, yet her vocals exude pure power. 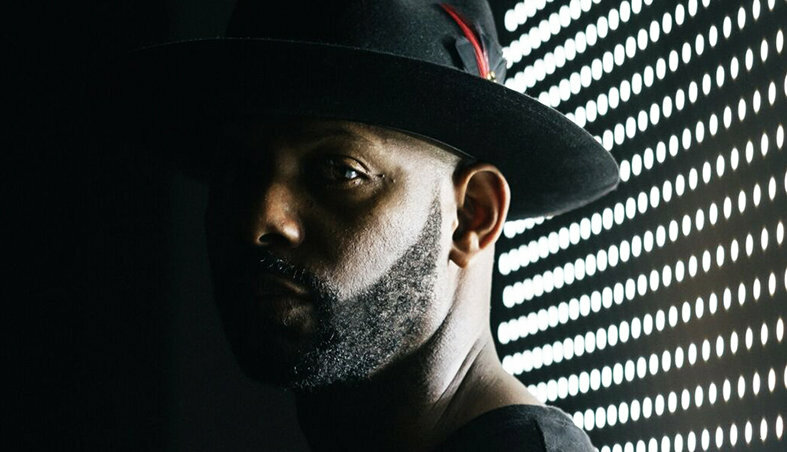 For his own ‘String Mix’, Waajeed elevates the delicate sentiment of the original to a sun-drenched dose of uplifting house. Watusi High label boss Jay Daniel sculpts a half-time stepper for his remix, slowing things down to wander amidst glitchy cascades and soothing pads. Closing off the EP, multi-instrumentalist Jon Dixon - who has played alongside many Detroit legends - reformulates the framework of the original, applying subtle alterations and extended melodic jams to a stripped back roller. Additionally, Waajeed will perform across 16 dates for an extended tour between August and October this year, including shows at the legendary Sub Club in Glasgow and Movement Festival Torino. Red Bull Music Academy Radio "My new favorite person in the world"
Vice/ Thump "Heck Yeah. Thank you"
Falty DL "Waajeed is on a tear at the moment! Big up." 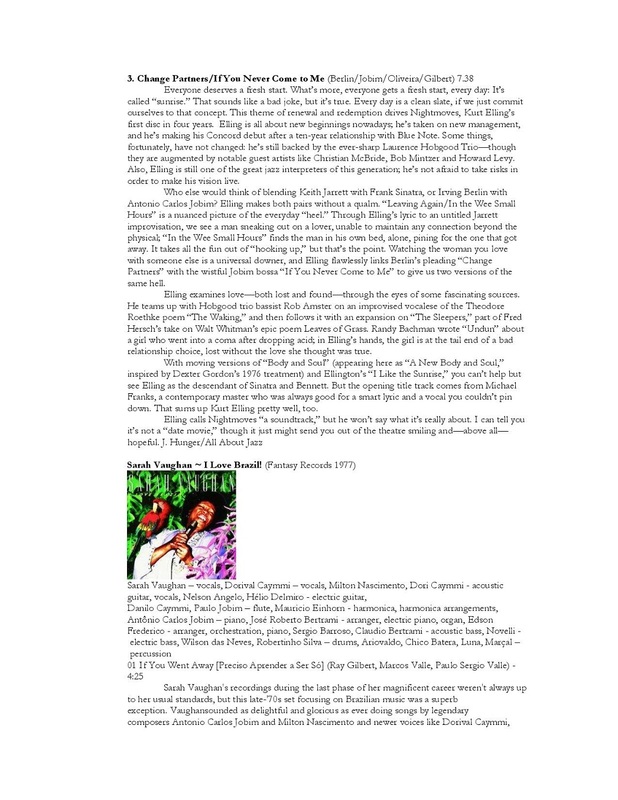 Tsugi Radio "Tsugi Radio loves it"
Gilles Peterson "Big Big respects"
Produced by Waajeed, Jay Daniel and Jon Dixon. 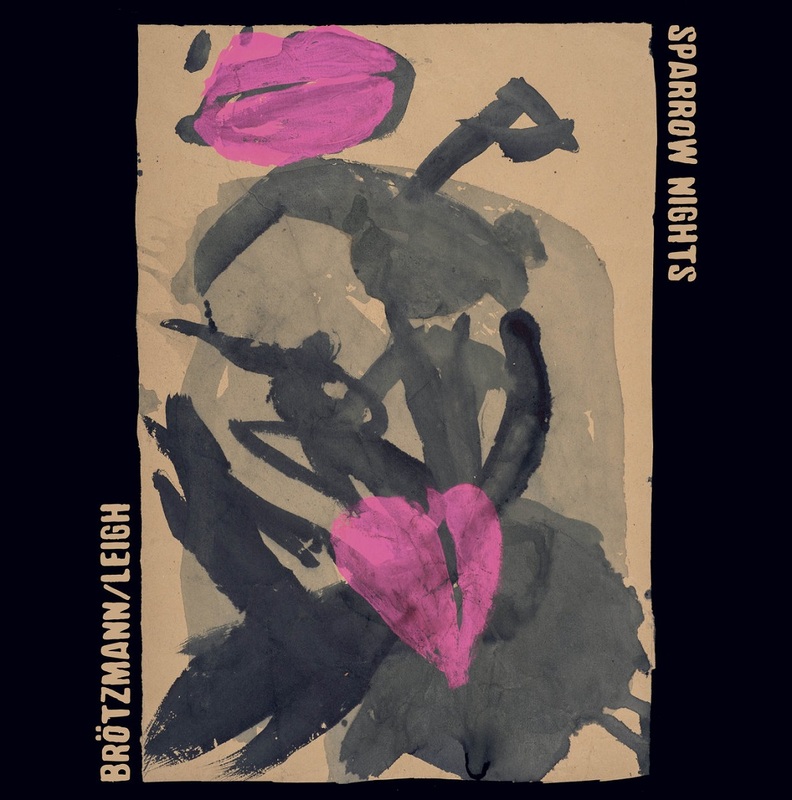 First studio album from the furious duo of pedal Heather Leigh and reedist Peter Brötzmann. The collaboration quickly gained a well earned reputation for their cutting edge music and frenetic but sensuous playing. 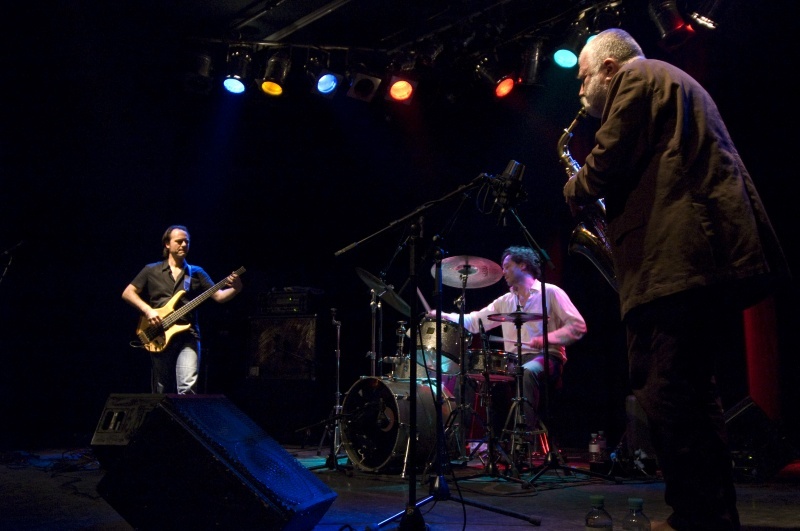 With all the projects Peter Brötzmann is currently working on, FULL BLAST - with the precise and dynamic swiss rhythm-section Pliakas/Wertmüller - is the most consistent, the longest running. 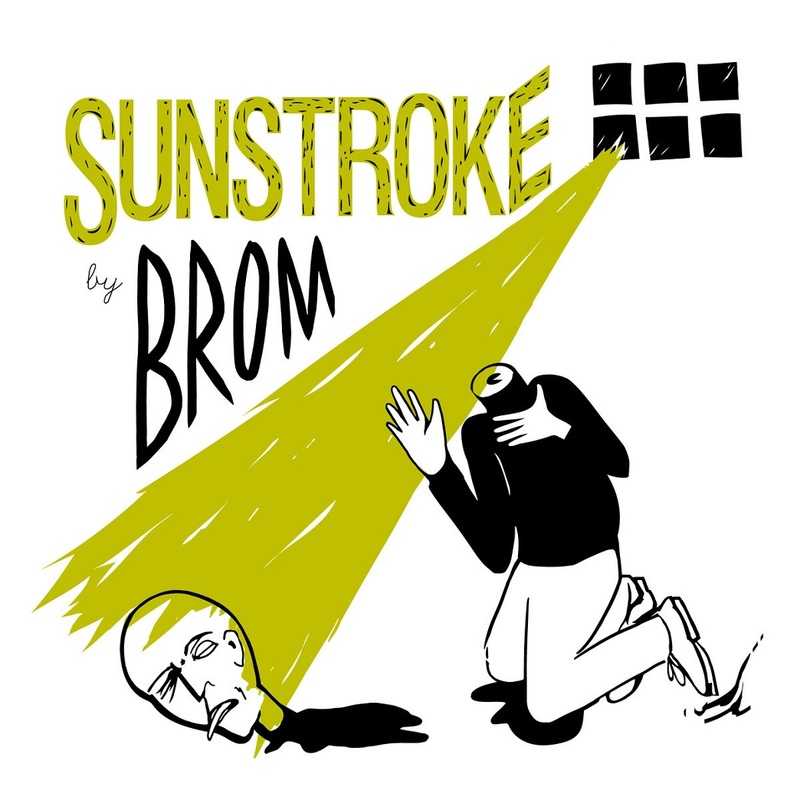 Super-tight and intense power trio BROM genuinely push into crossing over improv, noise rock and free jazz with their forthcomong release SUNSTROKE. 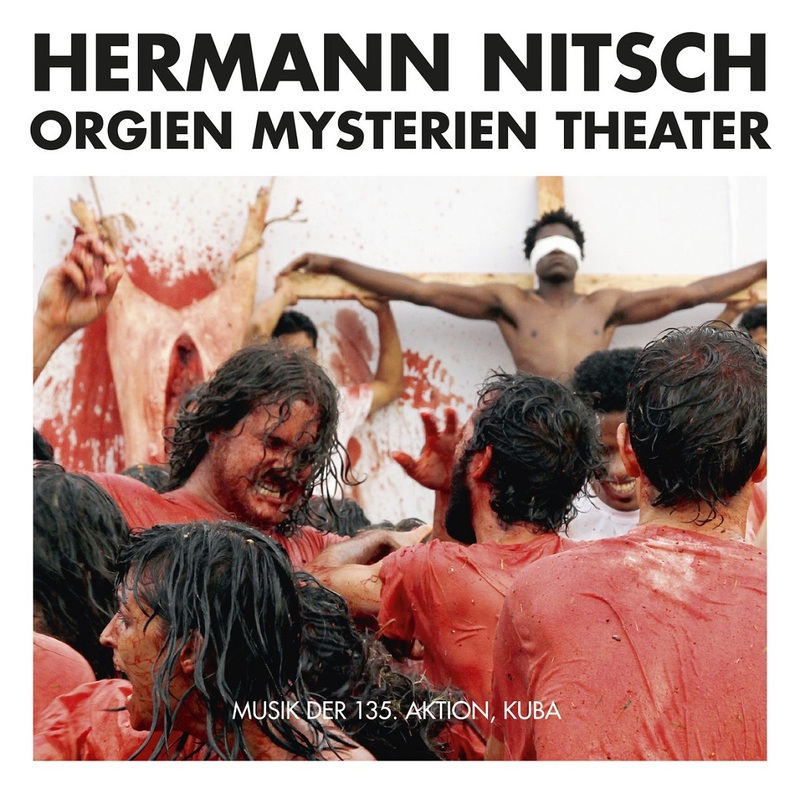 Recorded in 2012, Musik der 135.Aktion Kuba captures the controversial performance from Herman Nitsch's Orgien Mysterien Theater (Orgies Mysteries Theatre) as part of the Havana Biennial art exhibition. For more than fifty years Nitsch has been an influential and striking figure of Austrian art - In his Orgien Mysterien Theater he uses actors, blood, animal bodies and entrails, fruits, symbolic crucifixion, music, processions and ritualistic gestures to enact a new form of Gesamtkunstwerk: pagan ceremonies that aim to a kind of collective catharsis. "Dionysos gegen den Gekreuzigten" (Dinoysus against Christ Crucified") was performed by 150 musicians and 30 actors, including the University’s Symphony Orchestra ISA and the artist himself, celebrating Afro-Cuban rituals and ceremonies. Hermann Nitsch, Dark Mofo Festival 2017. Recorded and mixed at Orange Music Sound Studio, New Jersey, October 17-19, 2000. That’s another one great avant-garde jazz album, which was recorded by a duo – Elisabeth Harnik (piano) and Joelle Leandre (bass). 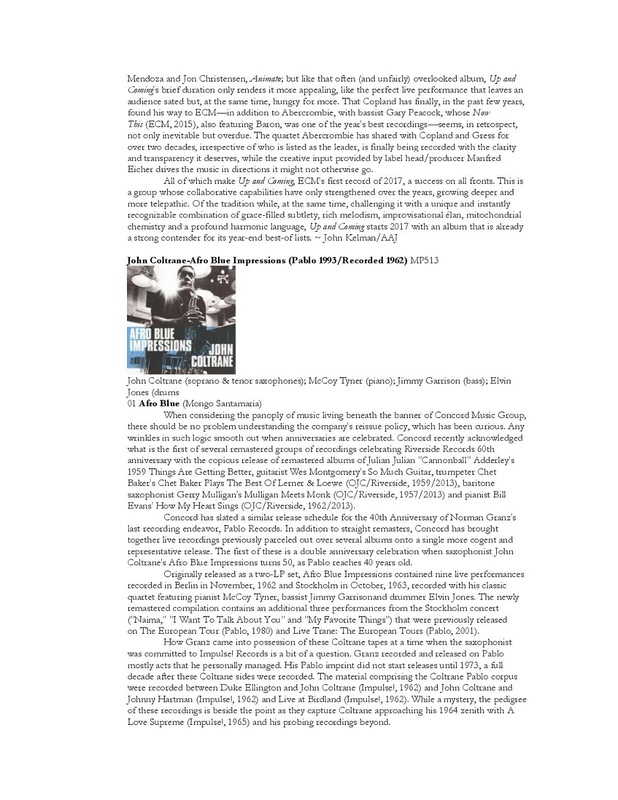 These two avant-garde jazz musicians are famous and active members of contemporary avant-garde jazz scene. Both of them have interesting, specific and unique playing style, which is based on colorful musical language, expressive and sudden stylistic turns and huge amount of different musical expressions. Elisabeth Harnik and Joelle Leandre are experienced and creative improvisers – both of them had improvised together with many other famous jazz masters. 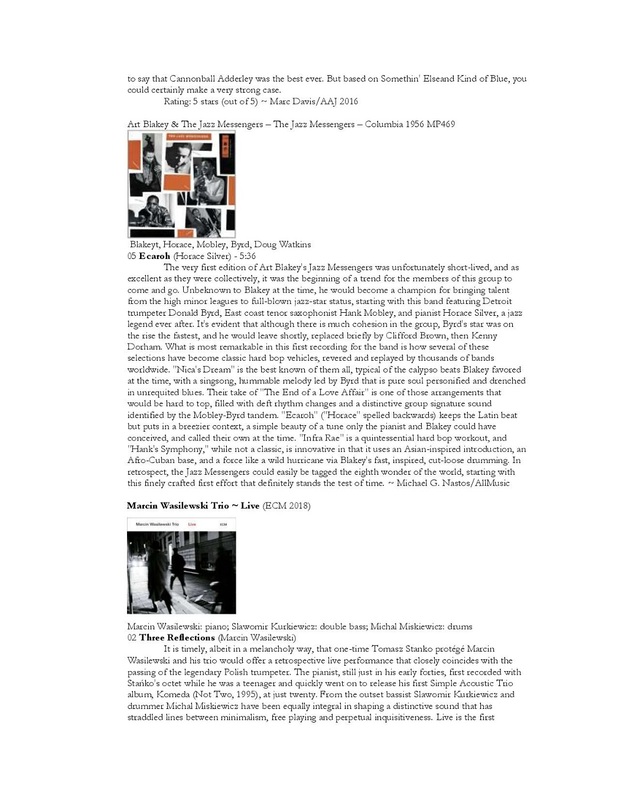 Avant-garde jazz, bebop, post-bop, hard-bop, experimental music, soft intonations of academic avant-garde and contemporary academical music – all these elements are gently synthesized together in one place. 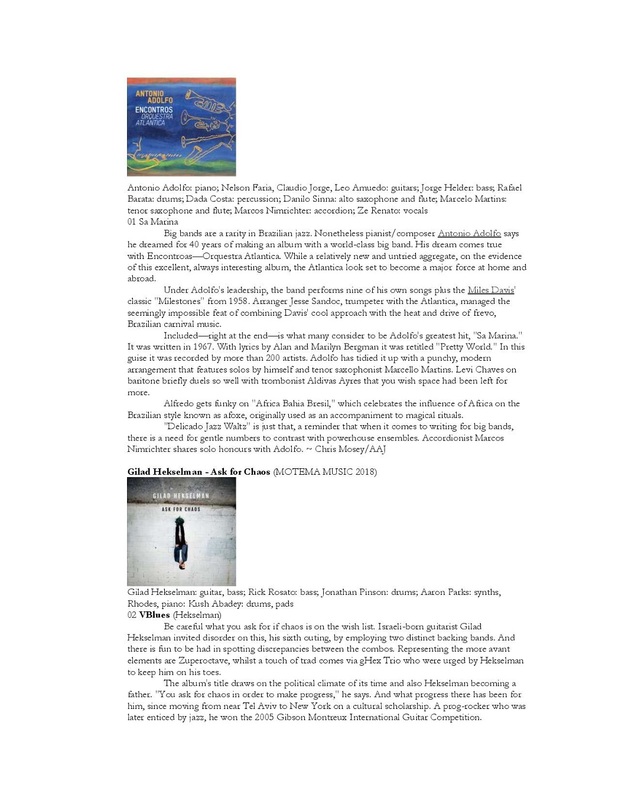 Creative and fascinating sound experiments, impressive and original musical decisions, rich, evocative and expressive musical language, vivacious, energetic and free improvisations, filled with spontaneous and rapid solos – all these elements are the basics of their improvisations. 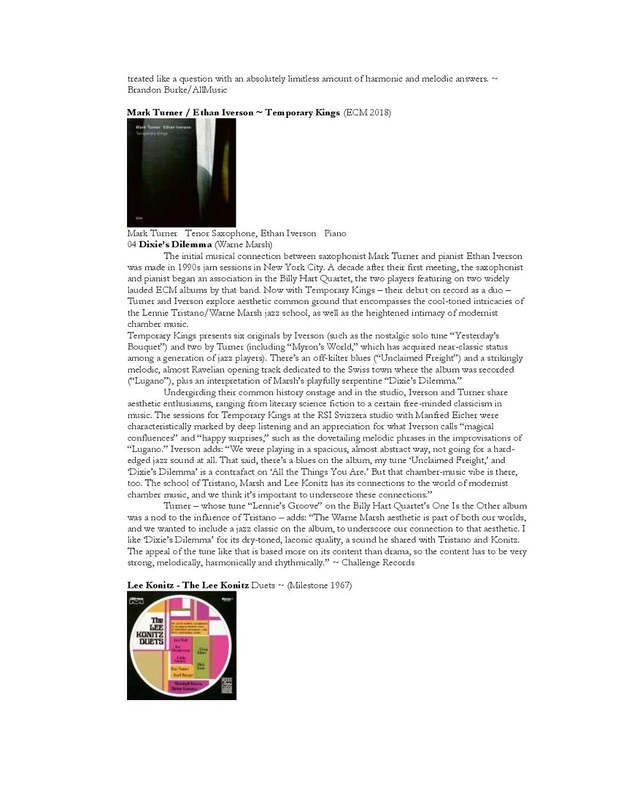 This album is a great opportunity to hear two outstanding jazz masters playing together. 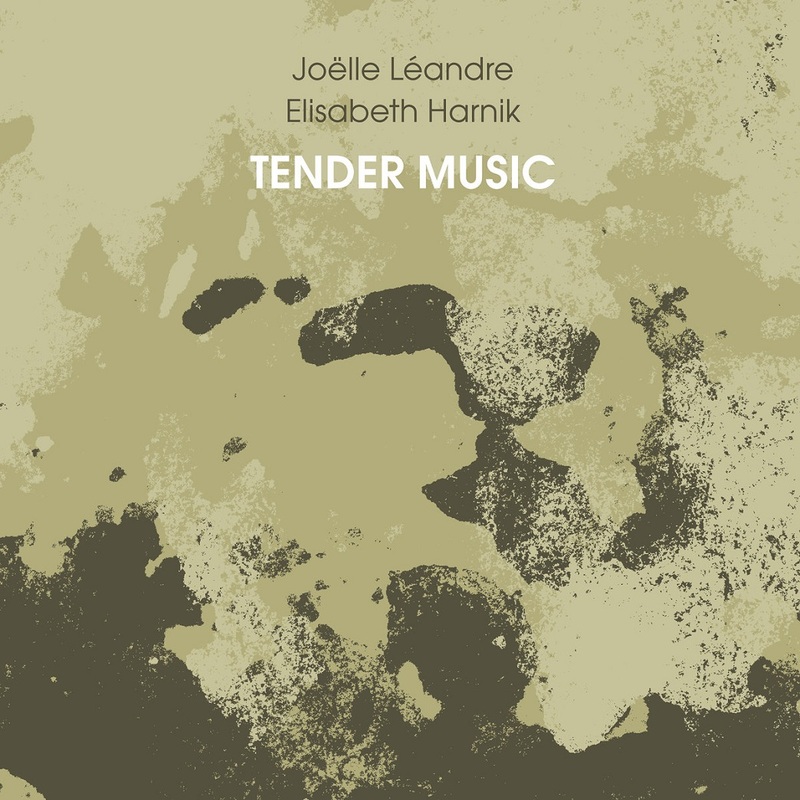 “Tender Music” has evocative, innovative and interesting sound. The improvisations are always changing, they are based on many different styles, manners, expressions and the opposite episodes, which are highly contrasting with each other. 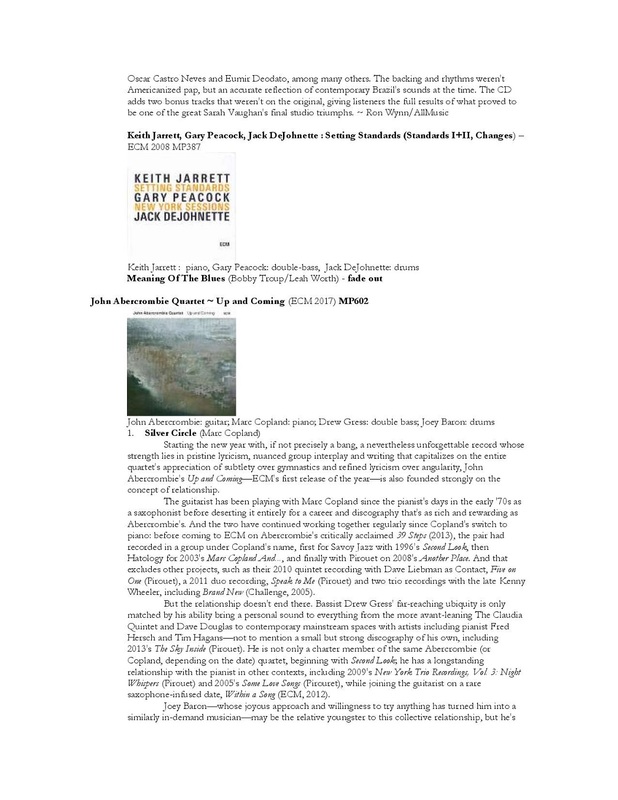 Both musicians are improvising masterfully and splendidly – they fuse together colorful and sudden stylistic twists, expressive and spontaneous solos, rapid and acitve collective improvisations, subtle and abstract pieces, turbulent and dramatic culminations and many other elements. Elisabeth Harnik piano improvisations are based on contrasts and unusual musical decisions. 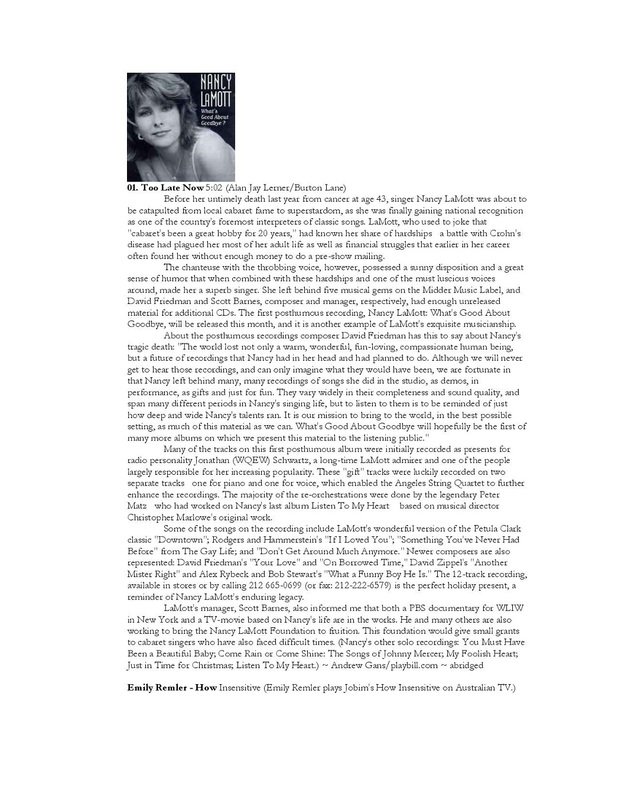 Different moods, expressions, characters and other elements of musical language are connected in her improvisations. Piano improvisations are especially expressive, free, spontaneous, creative and vivacious. Rapid, wild fast and furious solos, harsh and loud separate dissonances, virtuosic and rapid passages, passionate and touching solos, vivacious and playful or very rigorous and sharp episodes – Elisabeth Harnik really knows how to connect all these contrasting music elements in effective and passionate way. Her playing is always balancing between various playing techniques, specific manners and expressions. 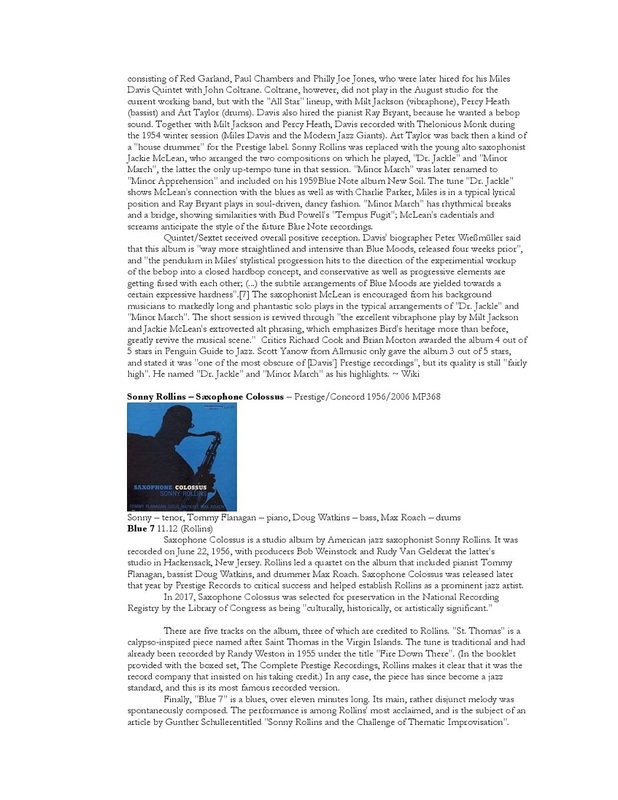 Rapid, sharp and dynamic solos, which are based on bebop and hard-bop finally grow to dramatic, loud, powerful and vibrant collective improvisations with spontaneeous, expressive and emotional solos. 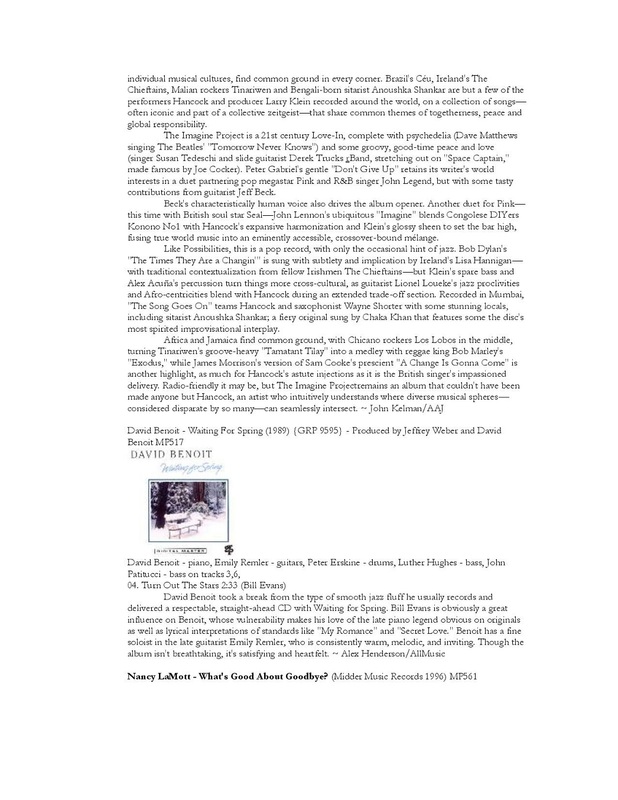 Her music is balancing somewhere between expressive, playful, joyful and energetic improvisations and abstract, subtle and silent improvisations. Joelle Leandre bass improvisations also is the set of experimental playing techniques, various moods, emotions and chords, special effects, unusual timbres, strange sounds and evocative musical decisions. 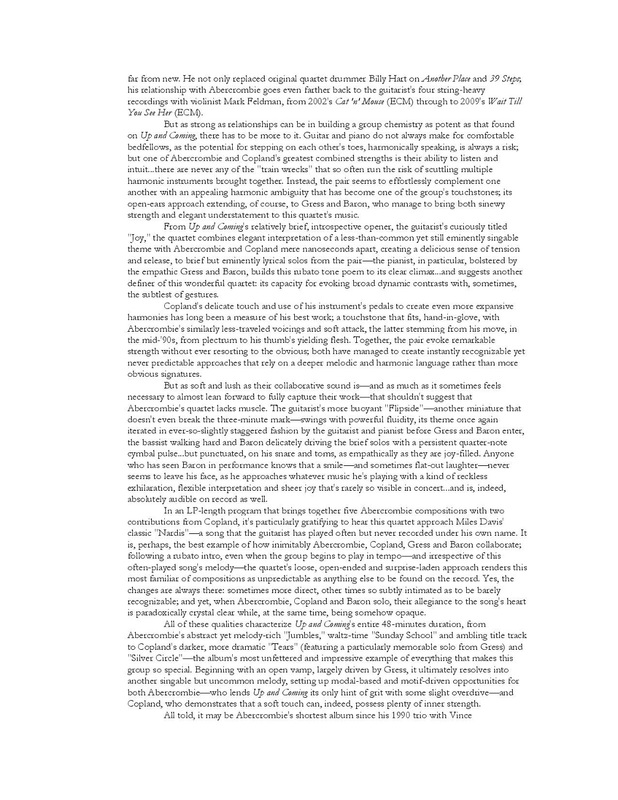 She can silmunateously use various and experimental ways of playing – huge range of experimental and extraordinary playing techniques are gently connected together with pizzicatto, glissando, portato and many others traditional and very well-known ways of playing. 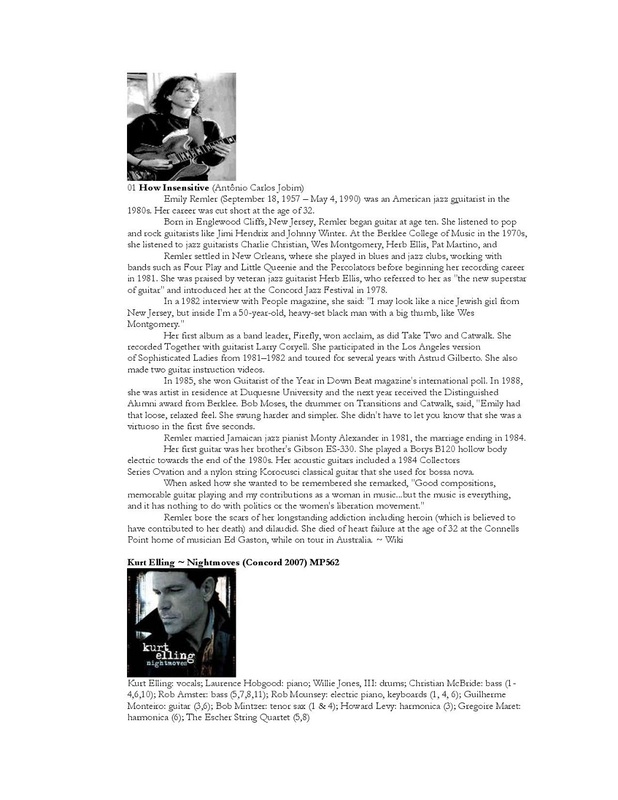 Her playing also is very colorful and contrasting – from the silent, meditative, nostalgic and soft sound this music suddenly gets to dramatic, rapid, vibrant, deep and dynamic solos. Passionate and expressive melodies are conected together dynamic rhythmic and harmony. 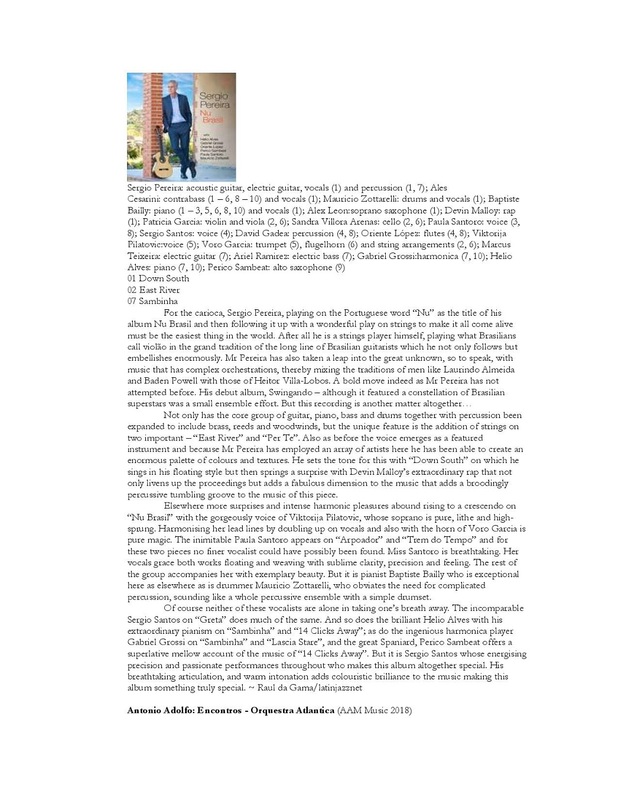 Rich, colorful and impressive improvising, passionate solos, masterful and creative jazz masters, evocative musical language – all these elements make an effort to interesting and innovative sound. "We have to start all over again, once more, and start from what is near, from what is below, on the ground. It's much more a process drawn from biological and animal issues, from survival, from fear, from pleasure, from primal concerns." 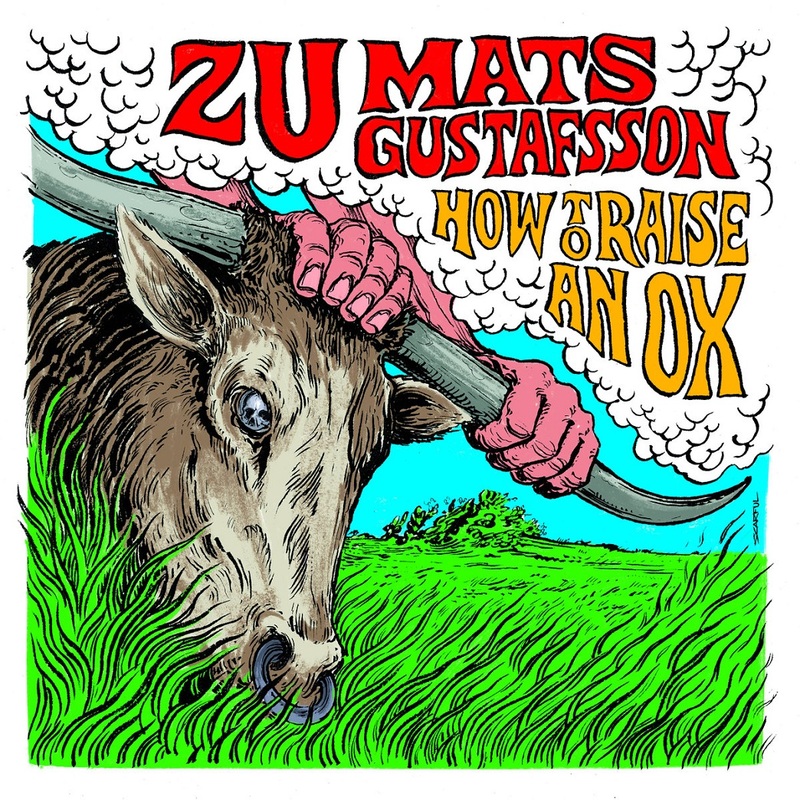 Trost presents the first vinyl edition of How To Raise An Ox by Zu and Mats Gustafsson. Initially released on CD in 2005 by Atavistic. 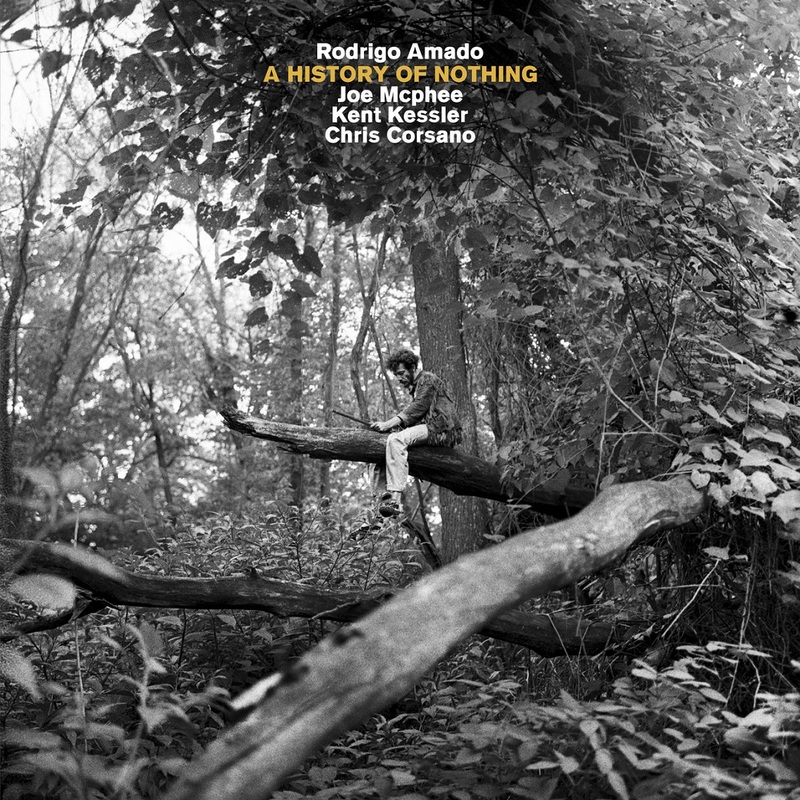 Features new cover artwork. Long-running intense jazz/noise-core band Zu from Italy teams up with Viking-saxophonist extraordinaire Gustafsson (The Thing, Fire!). Mastering by Andy Moor (The Ex) and Colin McLean. 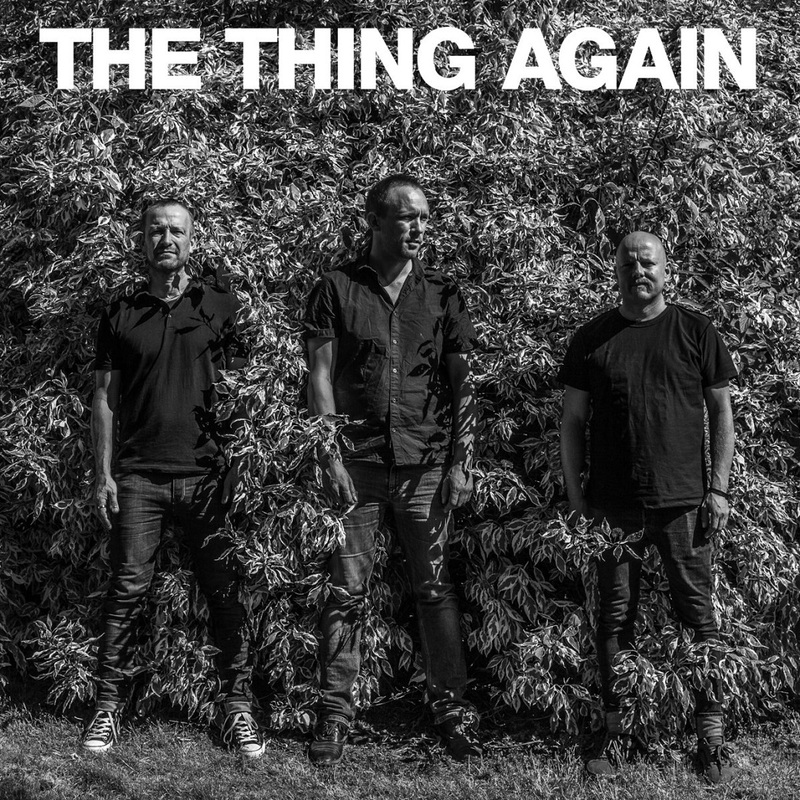 Mixing jazz with noise, avant-rock and punk, the music of The Thing has been described as ‘garage-jazz’ and ‘impro-punk’. 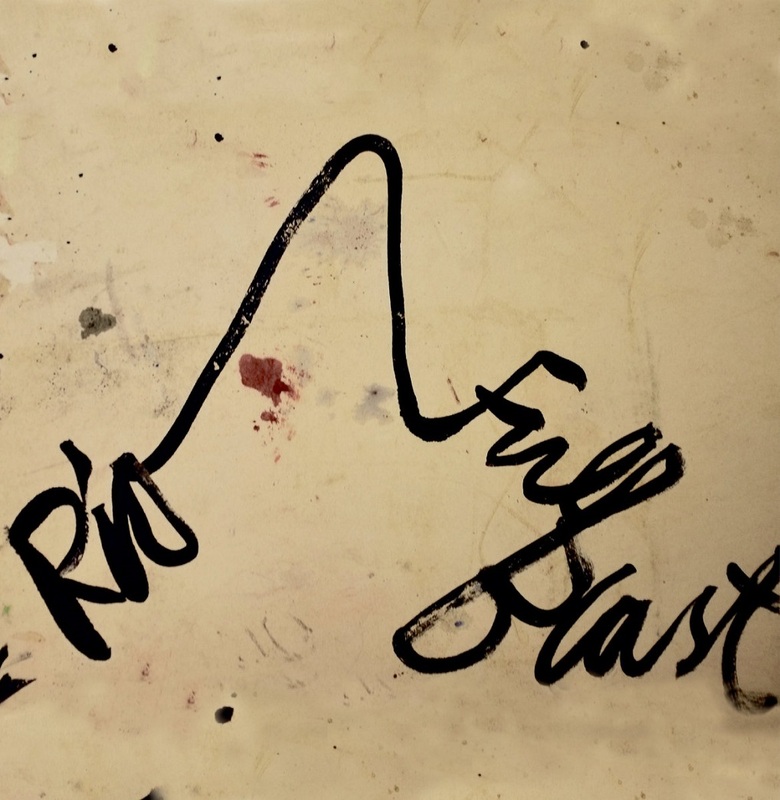 The band, from Norway and Sweden, was established early 2000 and has grown into one of the most successful and hardest working free jazz trio’s around, traveling all over the world. 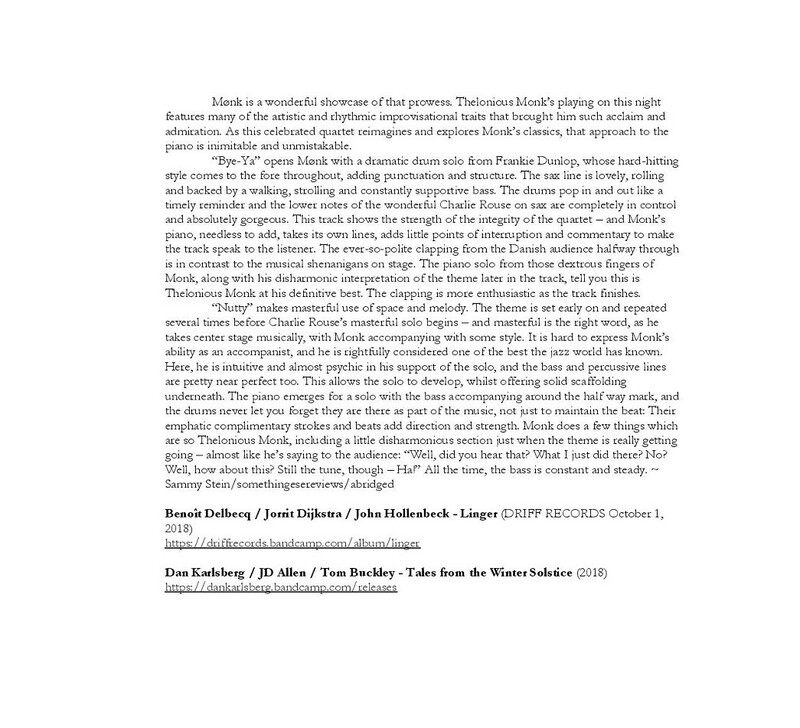 They have performed with guests such as Joe McPhee, Ken Vandermark, Otomo Yoshihide, Jim O’Rourke, Thurston Moore, Terrie Ex, Peter Evans, Neneh Cherry and James ‘Blood’ Ulmer. We are also pleased to announce the formation of an Advisory Board which serves to give input and guidance to the Jazz Congress programming team. 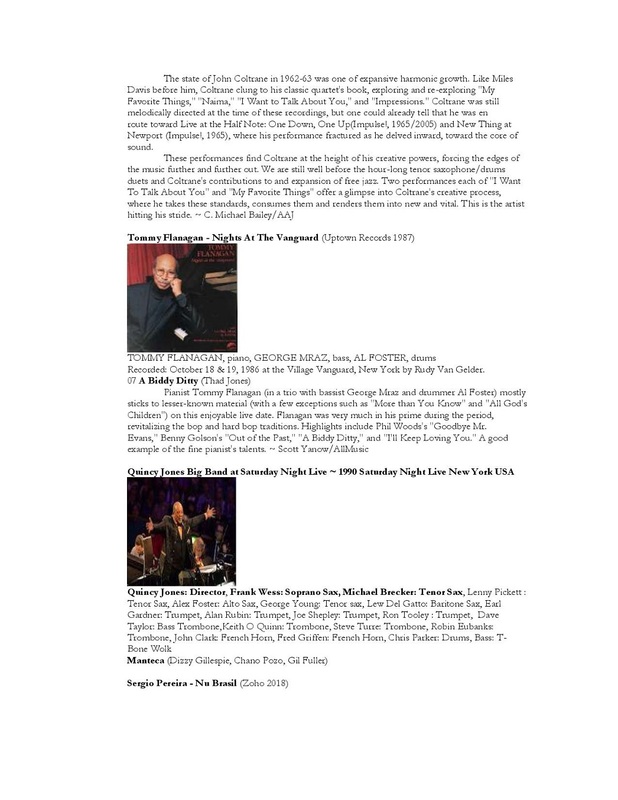 Co-presented by JazzTimes and Jazz at Lincoln Center, Jazz Congress is the gathering for the jazz community and industry. 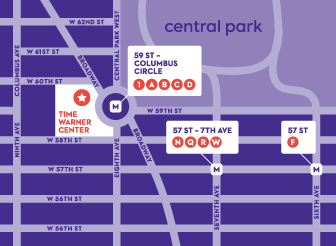 The second annual Jazz Congress will take place on January 7 & 8, 2019 at Frederick P. Rose Hall, home of Jazz at Lincoln Center, located at Broadway at 60th Street, New York, New York. Want to let others know you're coming? RSVP to our Facebook event and like our Facebook page to stay up-to-date as we announce special guests and panels! Students receive a 50% discount on registration. Email us with a copy of your valid student ID and provide your expected graduation date to receive access to this discount. 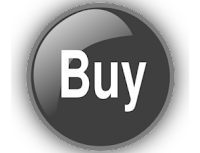 A full list of partners is available on our website. Partners offer their constituents a 15% off discount code. 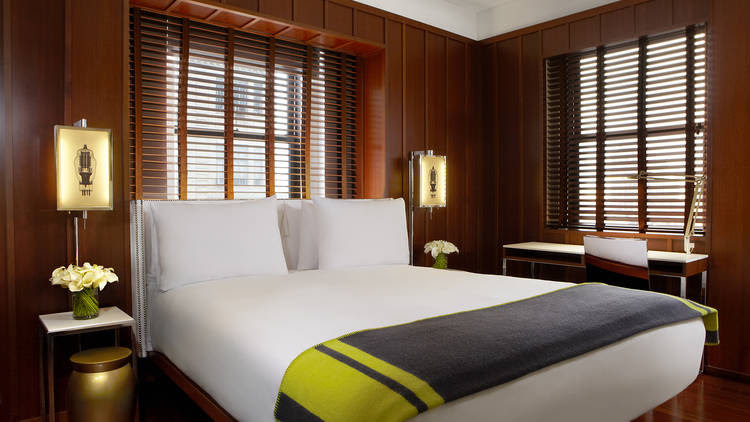 Special accommodation rates for 2019 Jazz Congress attendees, starting at $100, are available at the Hudson Hotel New York, located a two-minute walk from the conference venue, at 358 W. 58th Street, between 8th and 9th Avenues. The special rates are applicable for January 3 – 10, 2019 and must be booked by December 15, 2018. Reservations can be made by calling (702) 577-2830 or toll-free (800) 606-6090. Attendees should request Hudson Hotel New York reservations for the group name “Jazz Congress.” The group code is JA0319. Click here to make a reservation online. Jazz Congress brings together members of the global jazz community to network, as well as grow the audience for the music. The annual gathering also seeks to nurture businesses and organizations that promote, produce, present, market, and support jazz. 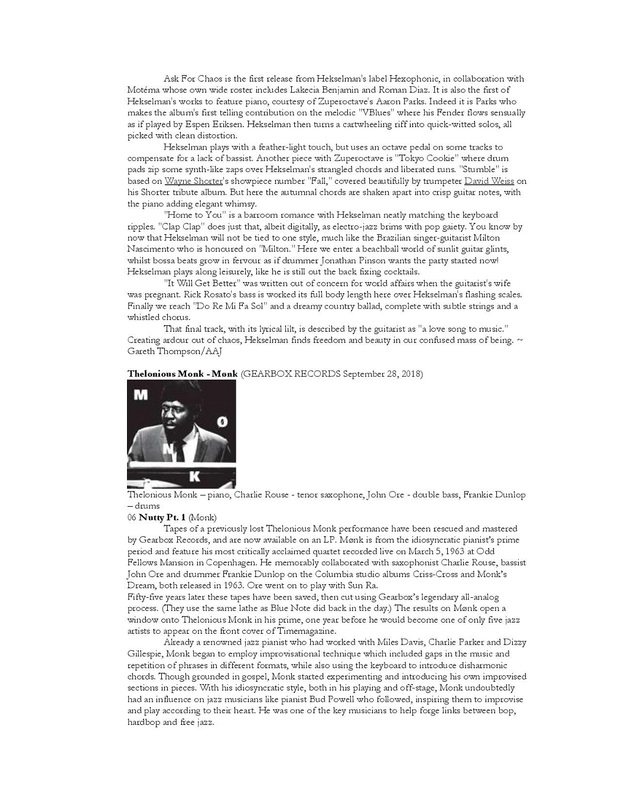 The inaugural Jazz Congress, co-produced by Jazz at Lincoln Center and JazzTimes, was held in 2018 and drew more than 800 attendees from around the world. More than 150 performers, panelists, and speakers participated in performances, workshops, and 30 panel discussions on topics including Jazz and Race, Gender and Jazz, Learning from Large Jazz Organizations, Why Performance Matters: Stagecraft Masterclass, Jazz in Film and TV Soundtracks, and more. The 2018 keynote address was delivered by NBA All-Star Kareem Abdul-Jabbar, and The Bruce Lundvall Award was presented to Terri Lyne Carrington. Jazz Congress is sponsored by Adam R. Rose. 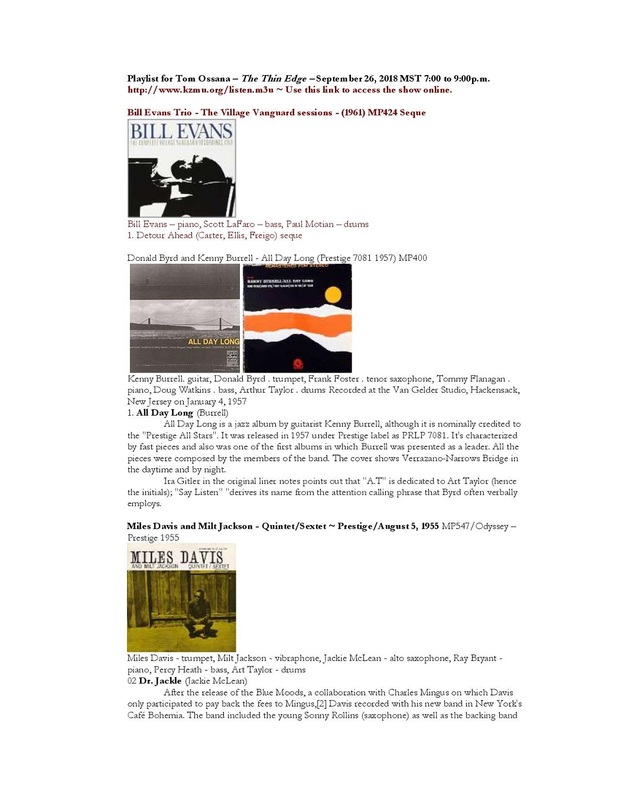 Playlist for Tom Ossana – The Thin Edge – September 26, 2018 MST 7:00 to 9:00p.m.